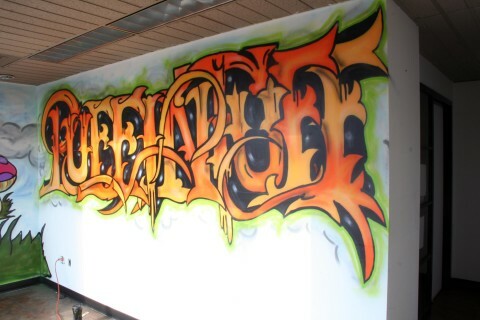 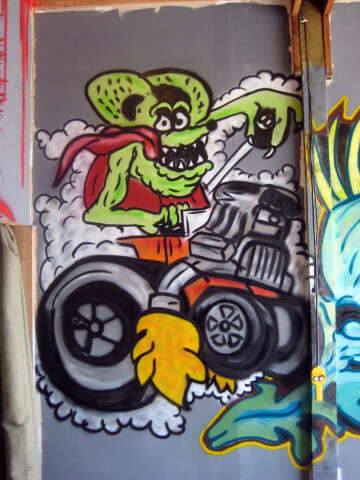 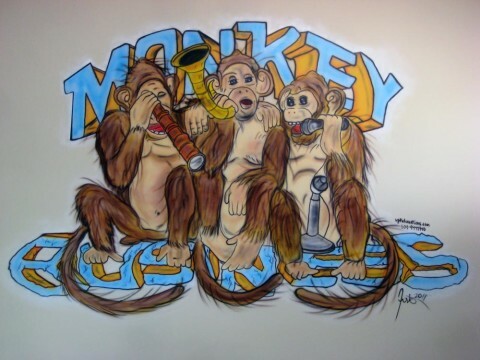 Most murals I paint are with enamel spray paint but as well I can veer away from The graffiti aspect for our clients and render logos and different cartoons and Ideas. 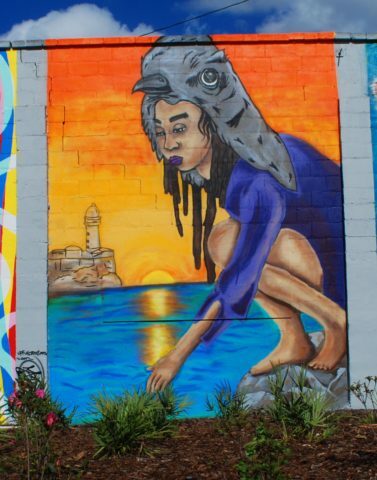 From churches to mechanic shops there is a mural and an idea for just about everyone out there. 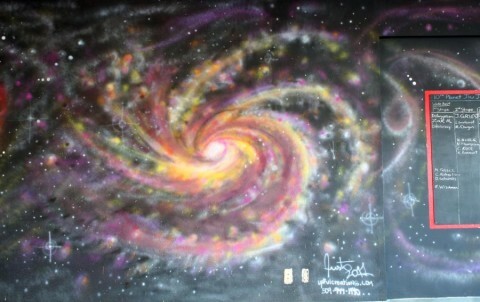 Please link with us and share your ideas for a quote and to see if we can make them a reality. 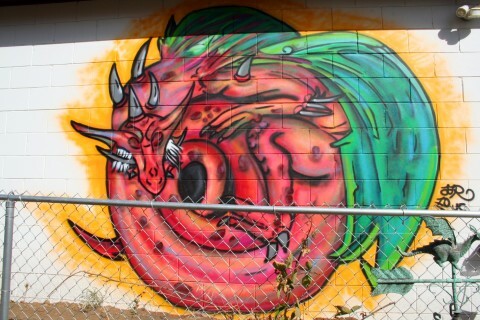 Painted for the 352 regional Arts project. 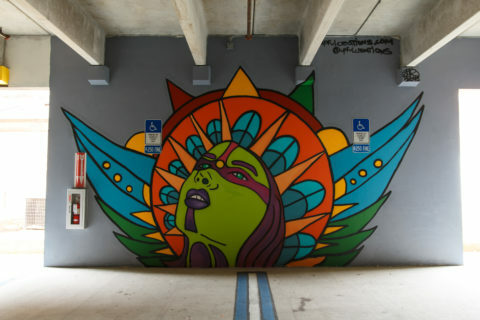 Painted for the URP parking garage Project. 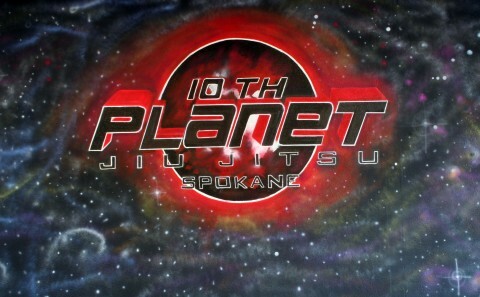 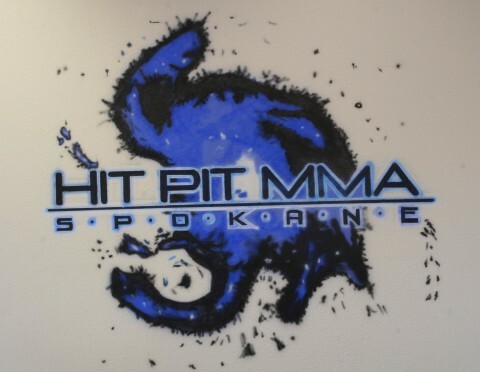 Mural Painted at the 10TH planet Jujitsu. 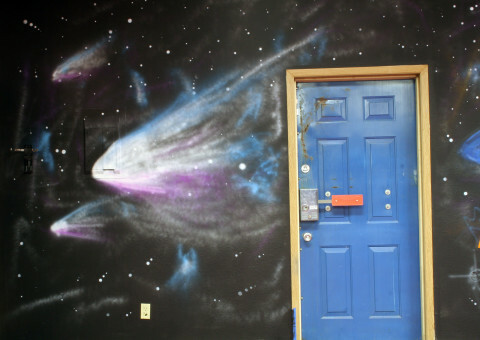 Mural Painted inside organic Grocery store. 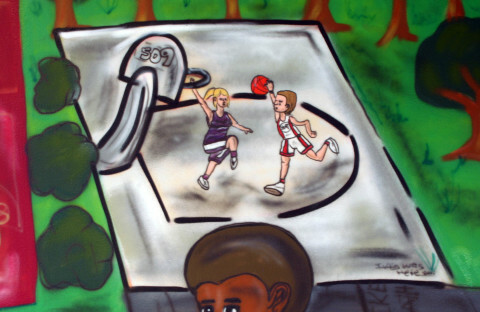 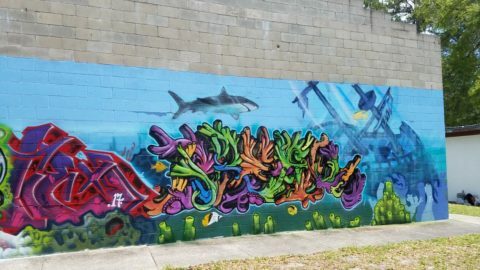 Mural painted at a church youth center. 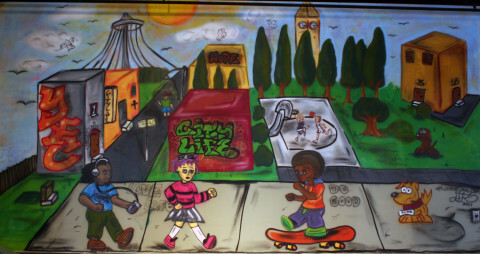 Church Mural in the youth center. 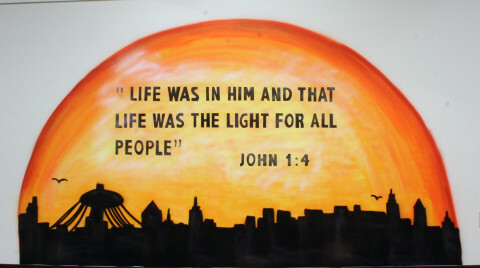 Mural Painted in The youth for christ center washington state. 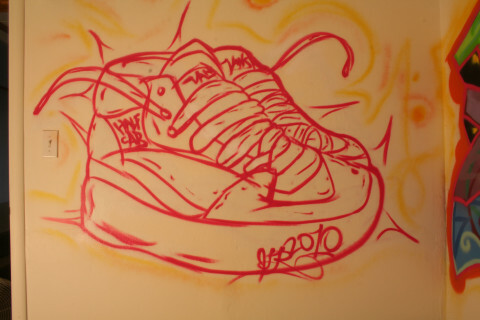 Sneaker painted in youths room. 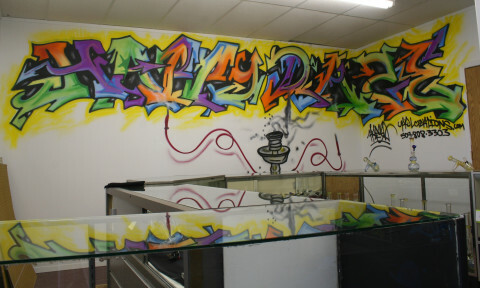 Glass shop out in washington. 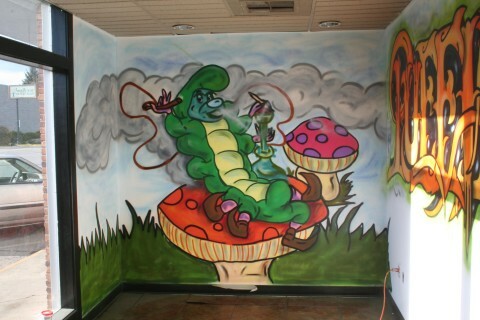 Mural Painted inside Happy Daze Glass SHop spokane washington.